“The path to the temple is steep. But we must always get up again. Spiritual cultivation is a daily activity. No matter how much we achieve one day, we must continue the next. Progress is often so subtle that we may feel the effort futile, and it is hard to get up each morning and try again with the same enthusiasm. Yet this is precisely what we must do. If we have the benefit of guidance, talent, and the proper circumstances, then the bulk of our attention has to be paid to such simple day-to-day effort. No person ever leapt to heaven in one bound. Spirituality is achieved by steady climbing, like a difficult journey to a mountain temple. 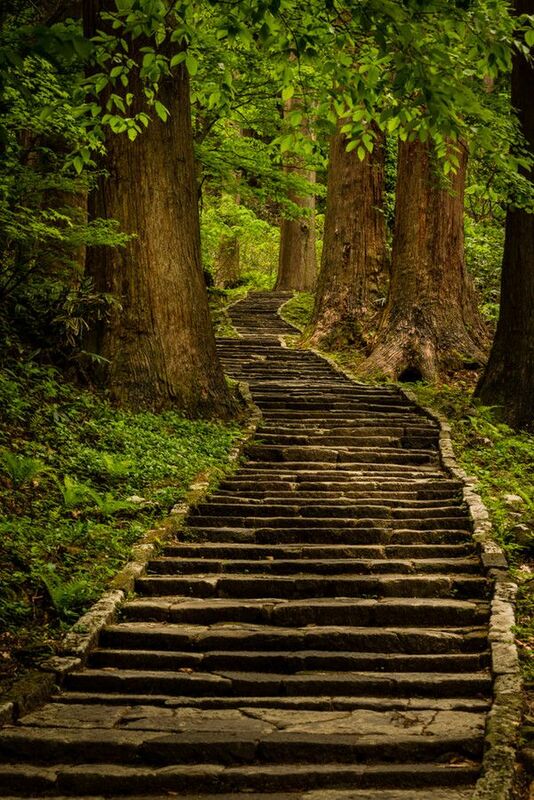 The number of steps is in the thousands; the way is steep. It takes a long time to get there, and we must content ourselves with the panoramas along the way and think that the view at the summit will be the best of all. If we fall, we must pick ourselves up and get back on the trail again.